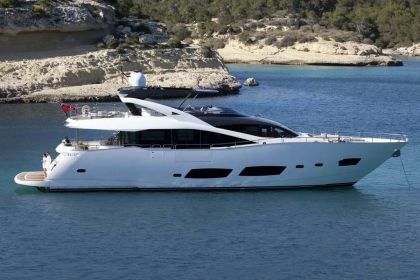 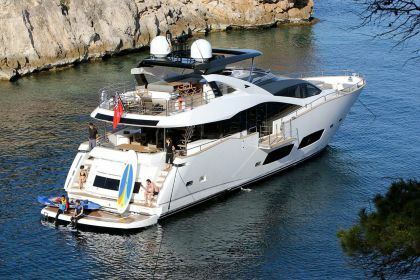 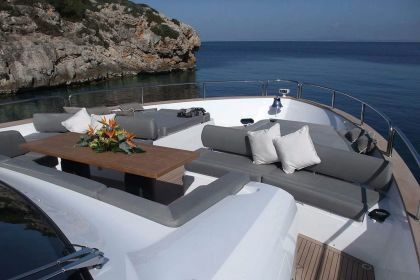 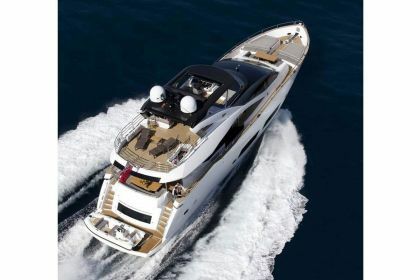 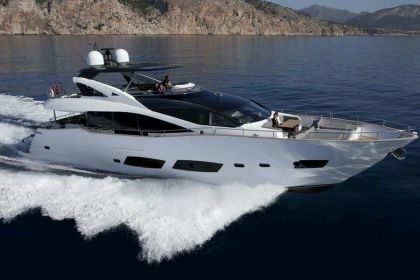 Aqua Libra is a luxury yacht created by Sunseeker in 2012. 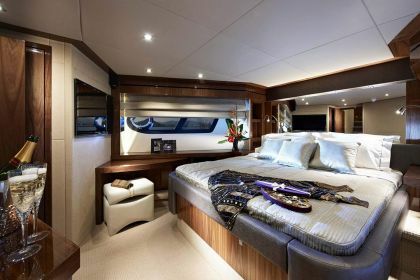 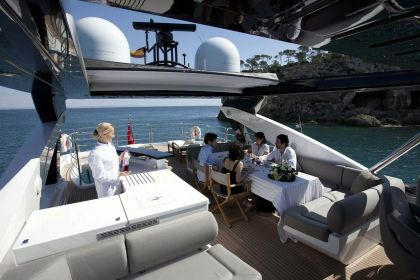 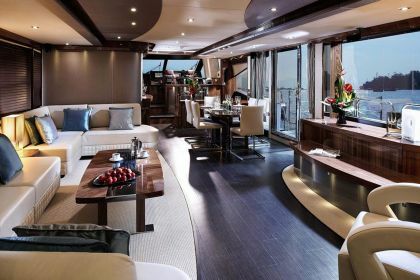 The interior is superbly attractive and boasts an exquisite craftsmanship and cutting-edge design. 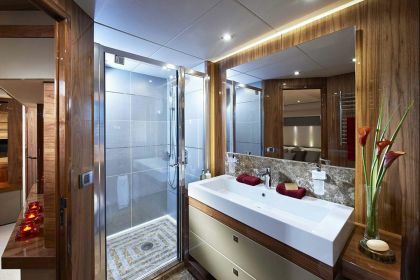 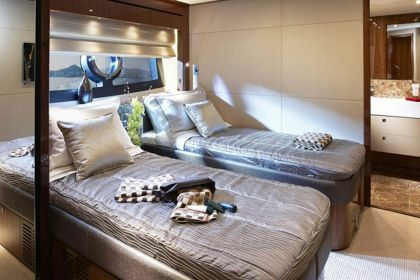 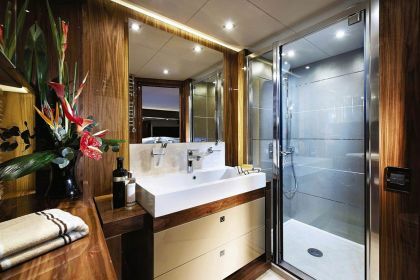 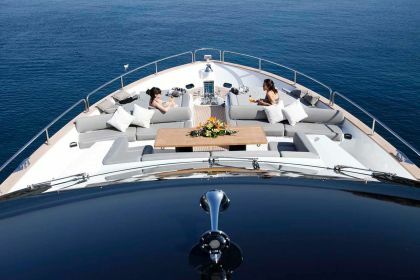 The yacht is fitted with zero-speed stabilizers and offers perfect accommodation for eight guests in four beautiful staterooms. 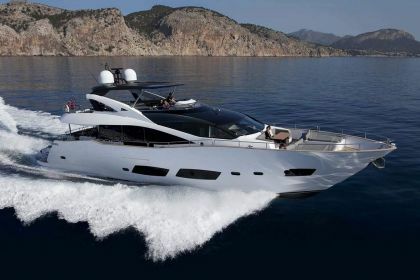 Tender Williams TurboJet 445 EN ISO 6185-3 Type VII with 100 hp engine. 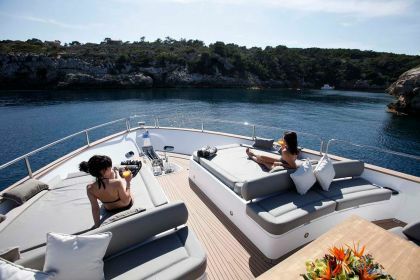 Seabob, Water skis for adults & children, Wakeboard, Tubes, Banana, SUP Paddle, One inflatable canoe for 2 pax, Inflatable island, Fishing & Snorkeling Equipment. 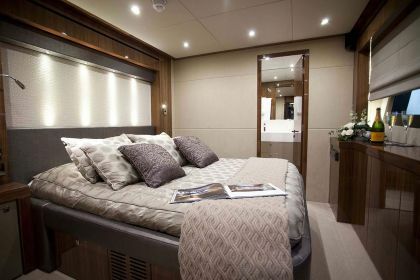 Integrated Computer & A/V System through Apple Mac & Herman Kardon system, supporting AirPlay. 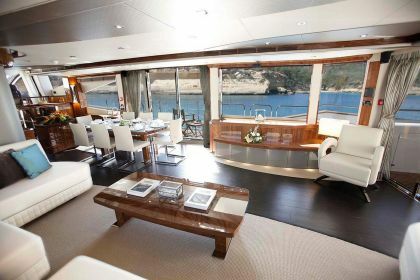 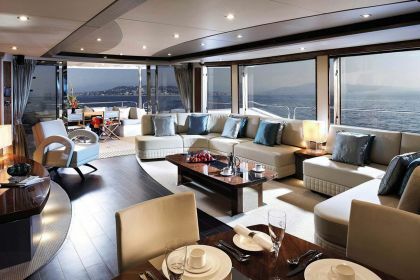 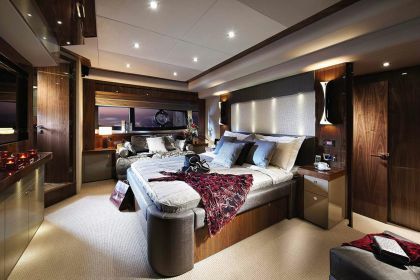 Home Cinema throughout the yacht, Docking Station, Satellite TV, Playstation, Wi-Fi internet, Tel /Fax.